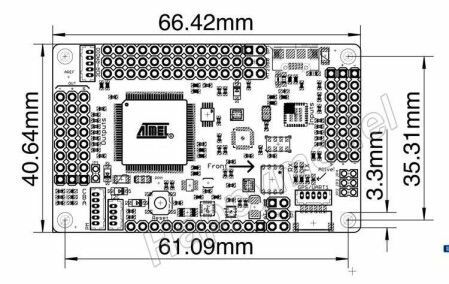 No more shield/daughterboard: magnetometer and dataflash were moved to the main board, making it easier to assemble, repair and hack. -No more on-board GPS, but we added a new 6-pins DF13 connector for our new GPS cable standard (PX4) and kept the old but reliable Molex (EM-406) connector for old GPS compatibility. -The old radio-modem connector is gone and now is being replaced by our new 6-pins DF13 connector (like the GPS, because both are UART’s. Got it? 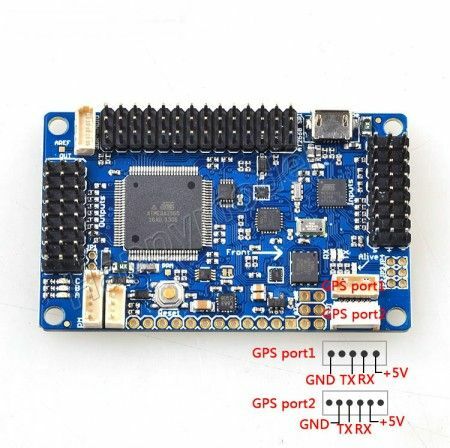 ), this will make it compatible with PX4 and prevents users from blowing up the UART mux. -We added a second protection fuse and diode (you are no longer required to solder it yourself) for extra reverse polarity and short circuit protection. 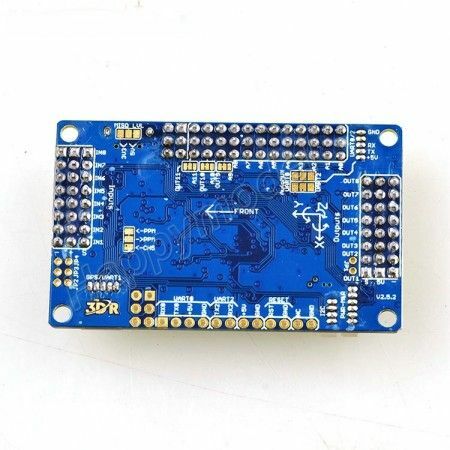 -The old I2C connector is gone and has been replaced by our new 4-pins DF13 connector (yeah PX4 compatible. Oh wait correction… None of both (PX4 & APM2.5) are compatible with each other, we created this standard together as a team, but I have to give the average of the credits to PX4). -Added a “mystery” 6-pin DF13 Connector that will be used later. I know you like surprises so please stay tuned. No big deal but is really cool and will save you some soldering here and there. -Added “Magnetometer Jumper” that allows you to disable the on-board magnetometer, so you can attach an external one. -Added extra LED attached to the PPM encoder (Atmega32-U2) on pin PC7. This will allows us later to use it as PPM status indication and leave those poor TX/RX LED’s do their intended job.